Deviant WIN, Totoro Cakes!! | A Constant Search for Partners in Crime. 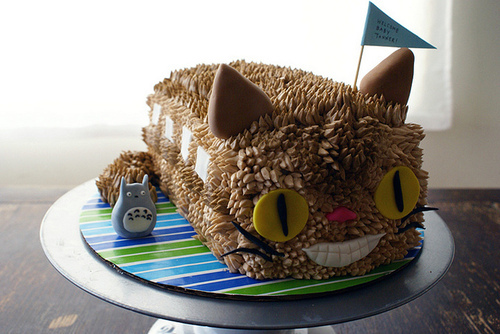 This entry was posted in Cakes, cat bus, deviant art, kitty, silly, studio ghibli, totoro, WANT and tagged cakes, cat bus, deviant art, geek out, kitty, studio ghibli, totoro, WIN. Bookmark the permalink. 4 Responses to Deviant WIN, Totoro Cakes!! 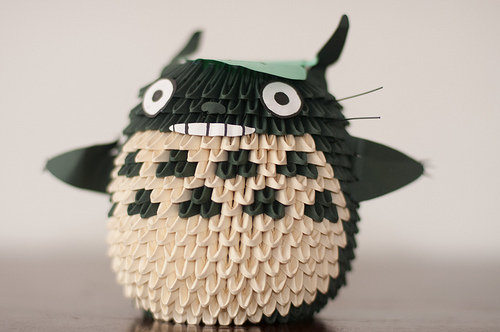 You have to love anything from the creative mind of Hayao Miyazaki. He has inspired many people. I have even seen people turn their vehicles into a cat bus. Cat Bus is great! I want to make a Ponyo cake with extinct fish all alongs the sides, I wonder if people would get it. I love both of these, but the top one is actually origami…. My friend and I are making a giant traditional festival dragon in the same style. the top one is not cake it is a paper craft, not origami either, origami is only one piece of paper folded the right way. I made a swan the same way.